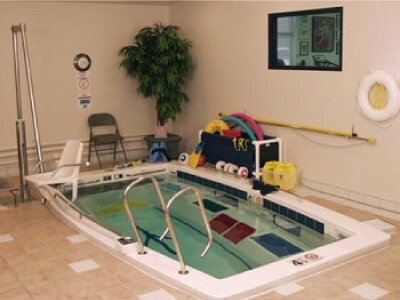 Frederick Sport and Spine Clinic is the only area site offering you the state-of-the-art SwimExAquatic Therapy Pool. 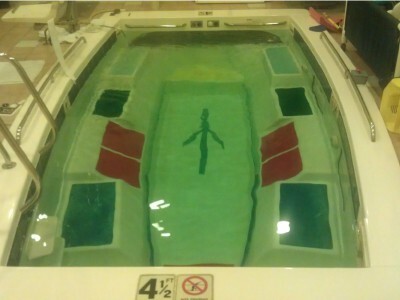 The SwimEx Aquatic Therapy pool is the highlight of the Frederick clinic. Starting with little or no water resistance in your initial stages of rehabilitation, you can begin walking or exercising sooner due to the buoyancy principle of water. This allows you to exercise without the compressive loading forces present with a routine land-based program. As you progress, water resistance can be increased up to 6.5 mph of current via the SwimEx’s patented paddlewheel propulsion system. 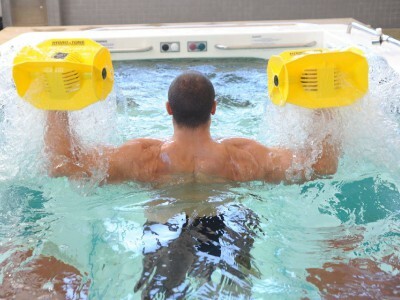 The current creates a “wall of water” which allows you to safely simulate sport specific activities. Progressive exercises can also be performed at eight different workstations in the pool allowing limitless protocols suitable for you at every stage of your recovery. That is why the SwimEx is the pool of choice for universities and professional sports teams across the country, including the Baltimore Ravens and U.S. Naval Academy. Go to the SwimEx Web Site for a complete list of teams and schools. Because when it comes to exercising and physical therapy, water is absolute magic. It’s natural properties of buoyancy, resistance and hydrostatic pressure allow patients who normally cannot bear weight achieve movements otherwise not possible. 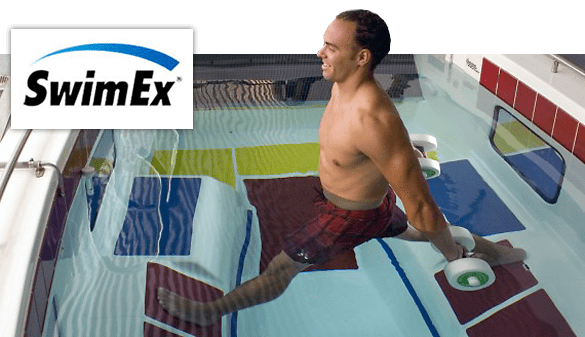 Our SwimEx aquatic therapy program allows for 360° resistance on all muscles while still reducing the impact of stress on joints . 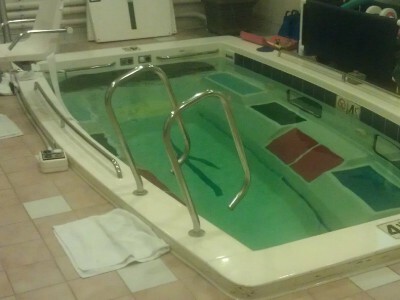 Additionally, the warm water facilitates muscle relaxation and increases peripheral circulation. The natural buoyancy reduces gravitational pull and lessens compressive forces, hence making exercises much easier to perform than on land.